100g. Hesh Brahmi Powder - Ayurveda's most potent hair vitalizer. Hesh Brahmi Powder comes as a succor for those with chronic hair problems. Hair fall, hair thinning, premature greying, have become a part of metro life. But nature has a solution for every problem. 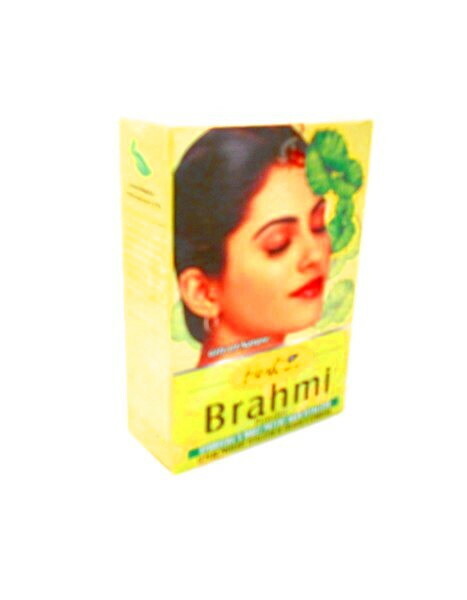 Hesh Brahmi Powder may help make hair dark, dense and lustrous. It also strengthens the hair roots. Controlling hair fall and hair loss. Regular use controls premature greying, when massaged in to scalp it helps control dandruff. How to use: Take required amount of powder, add a little water and make into a thick paste. Gently massage into hair and scalp, rotating finger tips. Wait for 15/20 mins then wash thoroughly with water.